N.B. 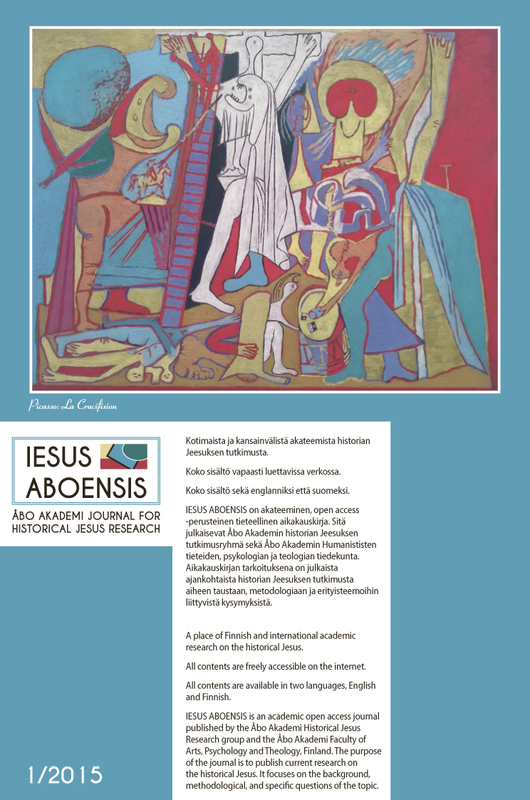 Helpful basic knowledge about historical Jesus research can be found at historianjeesus.fi which collects and reorganizes some of the material once presented on the home page of the Åbo Akademi Historical Jesus Research group (in Finnish only). HUOM! Perustietoa historian Jeesuksesta löytyy osoitteesta historianjeesus.fi. Sivustolla on suomenkielistä materiaalia, joka on alun perin ollut Åbo Akademin Historical Jesus Research groupin kotisivuilla.